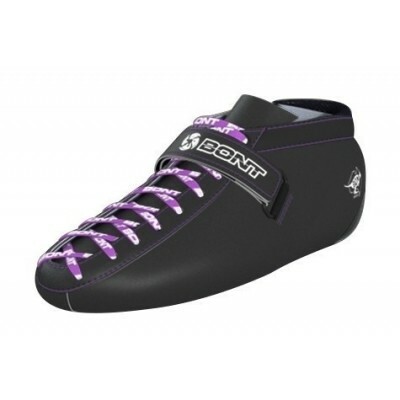 Bont Hybrid Carbon Durolite, vegan boot. Fully heatmoldable, standard in black Durolite with purple stitching. 100% vegan! Also availabel in custom colors, email us for all the details.